Get the OvenArt 12 Cup Silicone Cupcake Pan for just $8.47 after promo code CEVNONFA on Amazon (Reg. $29.99)! Super Saver Shipping will be FREE with an order of $35 or more or get FREE 2-day shipping with Amazon Prime! 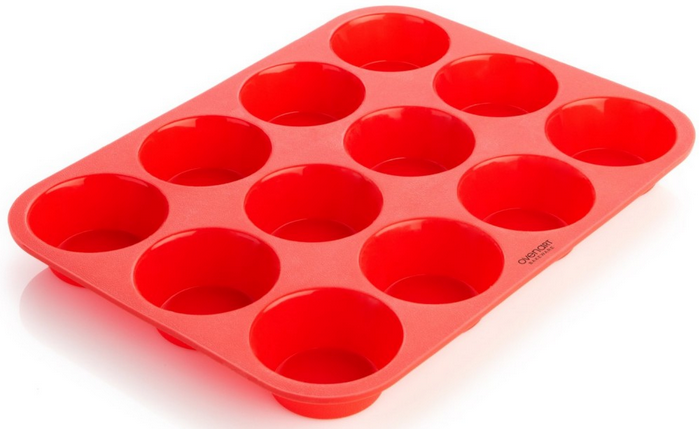 Standard cupcake pan / muffin tin size: 12.8 x 9.7 x 1.2 inches, each cup holds 2.5 ounces and measures 2 3/4 inches across. Safe for use in oven, microwave, freezer, and dishwasher. Protected by OvenArt’s 100% “Better Muffin” Lifetime Guarantee.